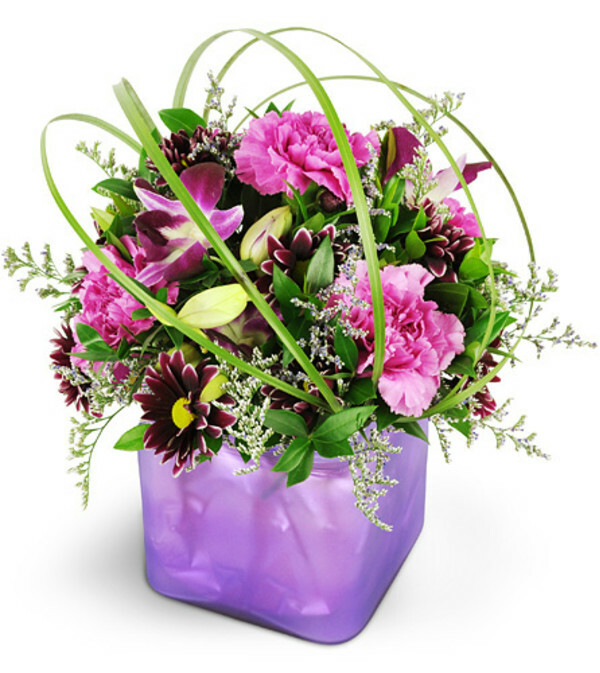 Show her how crazy in love you are with this passionate purple arrangement. 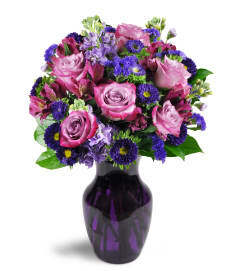 It's a modern yet so classic way to show her you adore her, and you'll see how much she adores you for sending it! Stunning purple dendrobium orchids take center stage, with fuchsia carnations, purple daisies, and more - all topped off with a modern twist of bear grass! 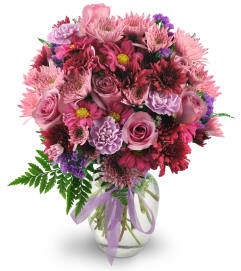 ” Priscilla was the most wonderful florist for my wedding! She honestly went above and beyond and absolutely made our day even more breathtaking. She was extremely thoughtful throughout the process, asking questions to make sure that she was following in my vision but what appeared on our wedding day was more than I could have ever dreamed up myself. Every detail was thought through and she never stopped, making sure each detail was perfect throughout the evening. I can not recommend her enough. You will not be disappointed! She is a wonderful, funny, thoughtful person and an incredible florist! ”.